In the next month or so we will be moving to another state. So I am currently working through my Moving Checklist. Right now I am going through each room and choosing what to keep and what to donate. I never realized how much stuff we have kept around “just in case”. And, I’ll tell ya. NONE of it has ever been used again! I certainly didn’t want to throw it out. It’s all perfectly good. It just doesn’t fit in our house and it all had to go! So, I thought, why not donate it? Whenever you donate items, it’s a good idea to keep track of everything you donate and estimate value of the items so that you can use it for tax purposes. 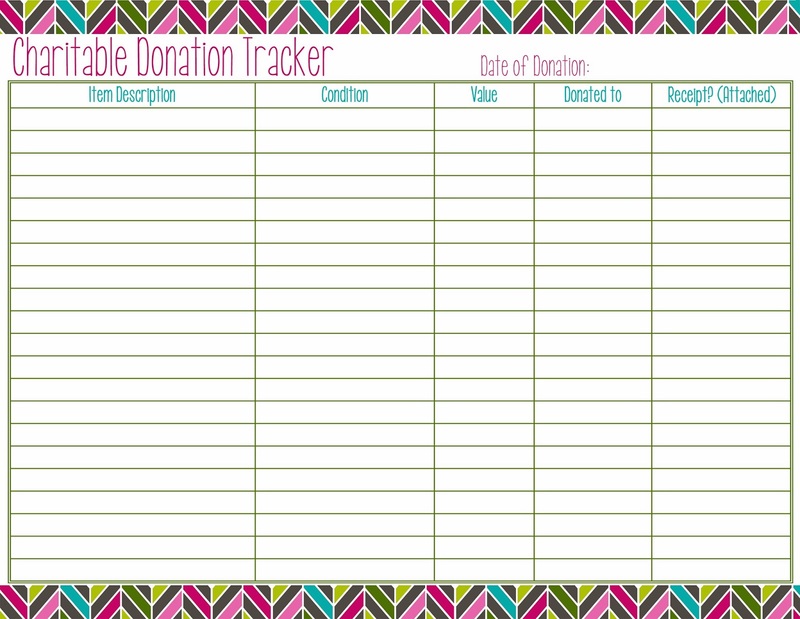 So, as you place each item into the box or bag or truck to bring to your local charity, keep track of it in this handy Charitable Donation Tracker (the receipt you’ll get from the organization will be very generic)! If you aren’t sure of it’s value, the Salvation Army and Goodwill websites have some good resources. Oh this is a great idea! I never did this when I was moving and it probably would have really helped on our taxes. Wow this is a great idea!!! 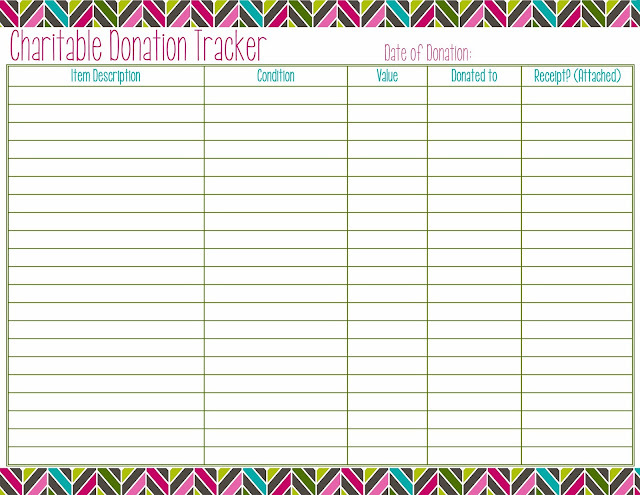 I never track anything I donate and I really should. I'll be pinning!!! This is BRILLIANT!! We lost our donation receipts in the move last year and didn't claim them. I suppose we could have guessed but honestly had no clue. I'm pinning this. What a great idea! I would rather not move, but even if you don't move, we all donate to charities! Yes! It definitely made tax time easier for me! I usually don't either, but I had so much that I was donating all at once that it just made sense. I know. It's hard to guess during tax time especially when it's probably been months since you donated everything. Exactly! This could be used for spring cleaning, for example.